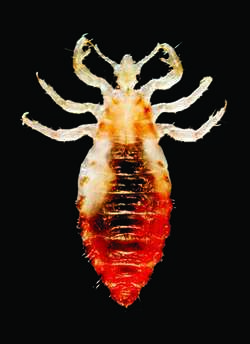 A parasitic louse (Pediculus humanus subsp. capitis) that infests the human scalp and causes itching. See lice, Pediculus humanus capitis.